AND NOBODY IS GOING TO GIVE UP THE FUTURE WE DREAM "
Do you have a project that is helping to overcome child poverty in its various manifestations? If your answer is "yes" and you are between 15 and 17 years old, we invite you to join "Concausa", an initiative from America Solidaria, with the support of ECLAC and UNICEF, which seeks to acknowledge and spread proposals for social innovation that young people in America are doing with their communities, by appropriating the United Nations Agenda 2030 and its 17 Sustainable Development Goals, a set of global goals to eradicate poverty, protect the planet and ensure prosperity for all. We invite you to share what you are doing in your community or country to contribute to sustainable development and overcome child poverty! Form a team of 3 persons from 15 to 17 years. Present a formal letter of support from the invited institution (school, institution, etc. ), endorsing the participation of the team and appointing a responsible adult as tutor, who will accompany them to Santiago de Chile if they are selected. Download the form letter here. Participants must have their parents' permission to travel for a week to Santiago de Chile. Once you have all of the above, you will have to upload a video to YouTube presenting your proposal (180 seconds long). The video link must be included in the application. For more information, check the bases (links below). 15 teams will be selected to travel to Santiago de Chile during November 2017, with all expenses paid, to present their proposals and to participate in the CONCAUSA meeting. If your team was selected, they will have the support of the CONCAUSA promoter in your country, we will also coordinate with the designated tutor to formalize your travel details. Each member must have a parent's permission and a letter of support from the institution, both legalized in their country of origin, authorizing their trip to Santiago de Chile and participation in the meeting for a week. Each selected team will travel to Santiago de Chile to present their case, share it and work it together with a team of experts and other young people from the Americas, in entertaining, dynamic and innovative days. This during November 20-25, 2017. 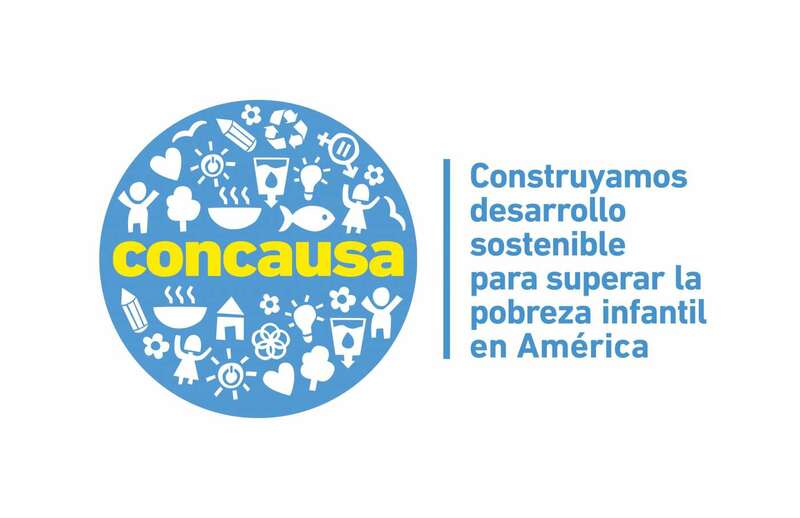 The week ends with the presentation of the projects in an Encounter of Ideas in ECLAC, in front of their peers, authorities of America Solidaria, ECLAC and UNICEF. • Un viaje a vivir una experiencia transformacional, en que conocerán y compartirán con otros jóvenes del continente con intereses similares a los suyos. Además, aprenderán acerca de otros proyectos y cómo mantenerlos y contribuir de mejor manera a sus comunidades. • La posibilidad de dar a conocer sus proyectos a través de las plataformas Web avalada por nuestras instituciones. • Las tres propuestas más destacadas recibirán un apoyo financiero de 1.000 USD como capital semilla para sus proyectos. • Se harán parte de una red de acción solidaria comprometida con presencia en todo el continente, con la cual pueden coordinar acciones de transformación social para un futuro sostenible. Los equipos de CONCAUSA realizarán el análisis de elegibilidad, evaluando que la postulación cumpla con todos los requerimientos solicitados, ya sea en relación a la información solicitada en la inscripción como en los requerimientos técnicos del video. Todas las propuestas que aprueben el análisis de elegibilidad serán evaluadas por comisiones organizadas por los oficinas locales de CONCAUSA, quienes aplicarán los instrumentos de evaluación. Todas aquellas propuestas que obtengan un puntaje superior a 3.0 pasarán al proceso de selección final del CONCAUSA.